Be part of the great tradition of Japanese sumo wrestling. 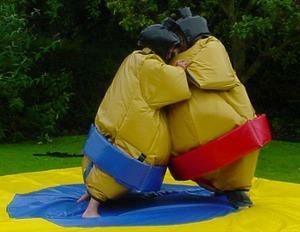 Don a fun sumo suit and challenge your friend and family to an age old wrestling match. Knock your opponent out of the ring and your the winner!